All the events promoted over here must be really special for us. One of them is definitely the one presented by a team we really appreciate. 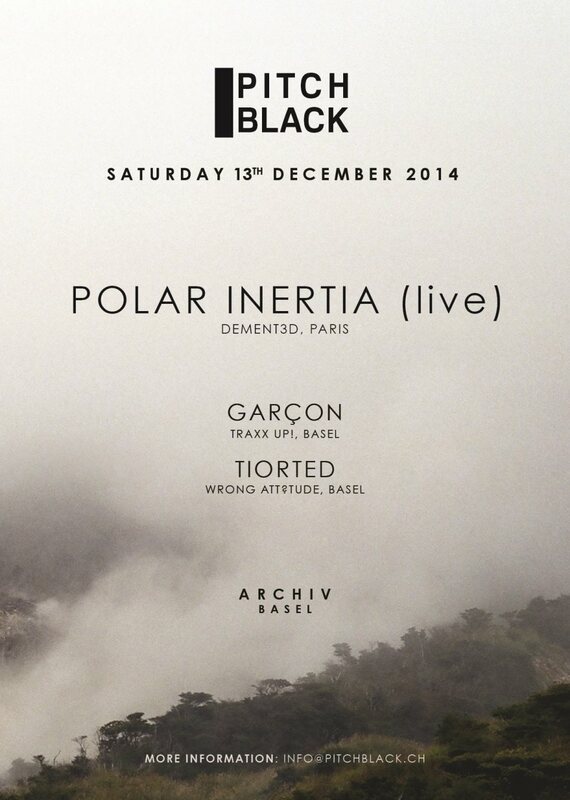 Pitch Black based in Switzerland presents a very special event Polar Inertia (Dement3d) at Archiv in Basel. After the live act Garçon (CH) and Tiorted (CH) will rock it with proper deep groovy vibes. An amazing concept presented by a great team. A night for those who communicate through the music and its dimensions. A deep warm journey in a cold night of December.